science teacher - education researcher - teacher educator. I love science, teaching and learning, these are my thoughts! I attended this conference wearing many hats: as OUP Assessment Editor, ASE Regional Acting Chair, ASE National Committee 11-19 and ITE Tutor. Here are the headlines that I hope will be useful to colleagues who were not there. There is stuff for ITE tutors, ITE trainees, Primary and Secondary Science teachers and senior leaders. Unleashing Great Teaching, David Weston, Teacher Development Trust. Emphasis on good quality CPD for teachers, preferably sustained over a period of time where they have ownership. The small scale, highly focussed approach David spoke about, I thought, was very much in keeping with action research cycles. Reminds me of the small scale projects my Masters students do. Importance of different perspectives. Schools can become silos if they do not get outside input. David spoke of 'Group think disruption'. Opportunities for collaboration within and between schools and times and space for high quality discussion is important. Discuss with colleagues where Initial Teacher Education fits in. Consider if there is opportunity with OUP to extend teacher support over a longer time period. Current Issues in Science, Matthew Newberry, HMI Science Lead, Ofsted. Matthew Newberry is new to post as science lead and the new big Ofsted boss has just started, so Ofsted is in a period of change. 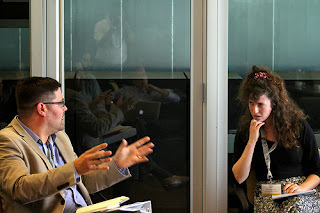 However he went over the previous reports to establish what we know and talked about current practice. The main and repeated message was that the inspectors are not looking FOR any particular approach, they are looking AT what we do to achieve the outcomes. So they are not looking for particular marking styles or frequencies, particular pedagogies, etc. just at the outcomes from the practices in use. Don't be shy in providing evidence of progress to an Inspector. When they come into your room, if you are in full flow, just direct them to your mark boook, the pupils work or a pupil to sit next to. Maybe prompt a TA to do this if you are up-front teaching. Also follow up later in the day to show a sample of books that shows the progress the class made. Secondary schools should find opportunities to look at and compare the books across subjects and see the standard of literacy and maths in each subject. I can imagine that being a useful process for any teacher at any stage. The report in May 2016 found that only one third of primary schools Primary schools need to ensure that their provision is broad and balanced, which includes the development of science knowledge, understanding and skills. Again there is no expected way, but is it being achieved? Share this with my primary and secondary colleagues. This was the second year that I had attended and presented at the BERG sessions, sponsored by the Royal Society of Biology (RSB). There was some very interesting work on Primary school Evolution. I presented my ongoing work on Year 10 students' understanding of the nervous system. I will add a link to the presentations once they are active. The ASE ran a book competition this year and the winner was announced as: The Abyss of Time by Paul Lyle. I bought a copy and got it signed by the rather surprised but proud author. Looking forward to reading it - my geological knowledge always benefits from a boost. The ASE Annual Conference always has a load of freebies. My favourite this year were Gratnell's mini trays which had teabags or sweets in them. I love a good cuppa and was able to wangle one of each with the promise of a tweet! Notice also the sciencey OUP badges and Periodic Table pens from the OUP stand! It was also the launch of OUP's AQA Activiate. A Key Stage 3 textbook which is part of a larger resource back on Kerboodle. I am the Assessment Editor of this and am very proud of it, the author team have done a great job. I did two presentations on Five Year Assessment and Check Points and PinchPoints. Thanks to the OUP reps and publishing team for supporting me at this event. 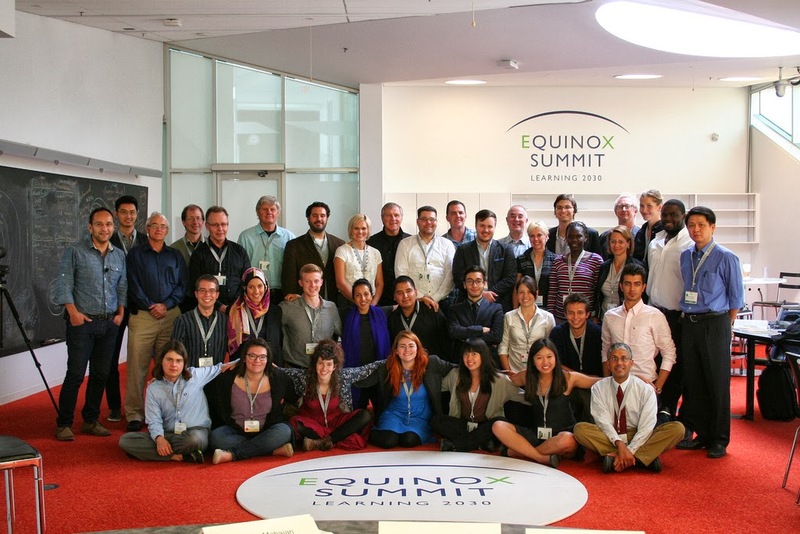 A school for 2030 - Equinox Learning 2030 Summit. I was part of the WGSI Learning 2013 Education Summit held in the Perimeter Institute in Waterloo, Canada. Together education experts from around the globe designed a blueprint for a school that would meet the needs of learners in 2030. This blog tells my story. There is no such thing as luck. At our Summer Graduation, Baroness Oona King, in her acceptance speech for her honorary degree spoke of luck as the intersection of preparation and opportunity. This is how I explain the fortunes leading to my involvement in designing the blueprint for a school suitable for the year 2030. Here I describe my experience and my thoughts. Michael Brooks contacted me by email back in February. It seemed one of those random emails that I could have just deleted, but the scale and ambition of bringing education experts from around the globe to create a school for the future caught my imagination. Also he offered to buy me a coffee if I met up to chat. Originally, I didn't think I was going to be invited. I was talking to Michael about education experts I would like to see on such a panel. It was not until March that I received another email from Michael asking me to be part of the Quorum. As someone who has a fair bit of self doubt and the occasional episode of impostor syndrome, I began to wonder 'why me'. Often. Talking to other delegates at the summit, this was not an unusual feeling. The answer to this in all cases was our preparation. Not in the sense of what we did to go to the summit (most of us did little preparation before hand) but in the sense of the sum of our professional experiences so far. For me there were several skills and experiences I could bring to the summit. I was a secondary school teacher (11-18 years) for a decade before becoming a tutor for trainee science teachers at the University if Sussex. 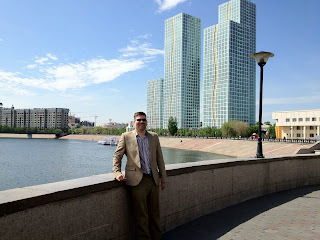 In addition I have written several titles for formative assessment activities via Badger Publishing, contributed to the school based assessment criteria for NIS schools in Kazakhstan and have a doctorate based in formative assessment in science education. So although I had not prepared for contributing to this summit, my professional experience at this point in time gave me a certain level of expertise to offer. I was asked to contribute a blog prior to the conference. In this, I decided to set out my case for a no grades and no examination, school system (see blog here). I thought this was quite radical, as although all the research points to the problems with grading pupils and high stakes examination, my experience in England and Kazakhstan show me that grades are the currency of education and examinations the banks. I have since read one of the few contemporary books on this subject, 'De-testing and de-grading Schools: Authentic alternatives to accountability and standardization.' (2013) Eds Joe Bower & P.L. Thomas. This summit experience has I hope become preparation for future intersections with opportunity. On a personal level I want to pursue the possibility on a 'no-grade/no-exam' education system in the future. I want the explore the possibilities in the UK at first, then global implications. For the summit, the communique and the future Blue-Print will spark discussion and hopefully inform parents, teachers, schools and policy on how to develop education to nurture twenty-first century learners. I will explore some of the key issues raised in a future blog. Sometimes opportunities come out of the blue. I could not have predicted that my doctorate would prepare me to support an education system a quarter of the way round the planet. 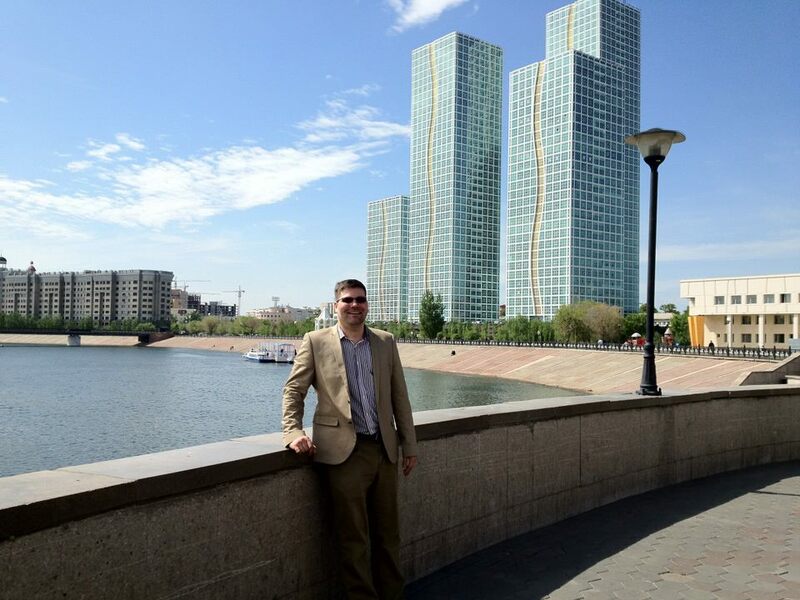 When the email came inviting me to design a model of school based assessment for six schools in Astana, Kazakhstan, I barely knew of the existence of Kazakhstan and knew even less about their education system. I am bound by confidentiality not to discuss the details of the schools or the discussions, but can share some general observations that may be of interest to colleagues in education and some personal thoughts as a professional. I visited the main school over seven days to refine the model with the managers of the schools and deliver training to a selection of teachers from the six schools. I was working with a consultant for the design and delivery of examinations, who was also training managers and teachers in these skills. Speaking about Lesson Objectives via Russian Translation. Through my studies and experiences I have come to realise that there is a big different between the ideologies of formative assessment and realities in schools and classrooms. There is research that suggests (actually shows significant effects) that comments alone yield better outcomes than comments and grades or grades alone (1). However, in the UK we work within a strongly summative system that demands regular grades from teachers. I argue in my doctorate (2) that if we can have a shared meaning of the characteristics of grades that teachers and learners understand, it moves away from the purely 'I have a B grade' which moves towards, 'You have a B grade that means you can do x, y and z. To get an A grade you need to do p, q and r.' These ideas were central to my decisions and advice. 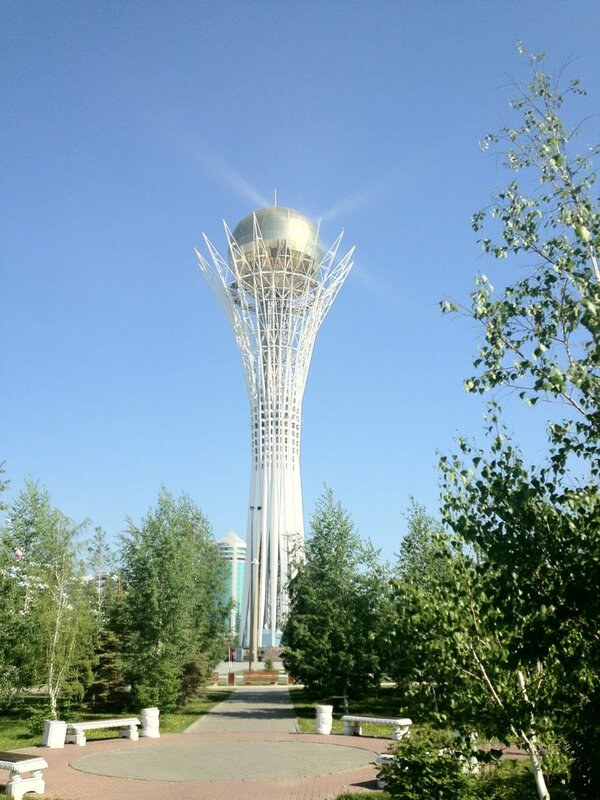 In Astana, the formative and summative tensions of assessment were as pertinent as those in the UK. The teachers were very well versed in the strategies for formative assessment. I had the distinct impression that they suffered the same issues as our teachers, as teachers were trying to use formative assessment in a highly summative culture. I suspected that many teachers went through the motions of using formative assessment strategies rather than the spirit. I had many discussions, sometimes quite fraught, about using statistical techniques to generate grades from teacher assessments. There was an over emphasis on what I termed a system of 'pseudo-accuracy' of teacher assessments that were reported to parents and the Ministry of Education. I found that this was closely linked to professional judgements of teachers being under valued. Teachers lacked confidence in their own judgements and they perceived that managers, parents and the Ministry did not have faith in the teacher assessments. I had few preconceptions of Kazakhstan and I was quickly caught up in the enthusiasm and vision that the people have for the future of Kazakhstan. A real contrast to people in the UK. 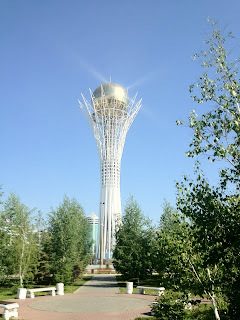 Astana has been the capital city since 1997. I thought that it was a city at the teenage stage of life: it is full of optimism for the future, however it has not quite yet decided what that is going to be. There are a lot of new buildings, and many being built. This growth spurt seems to be somewhat erratic and there does not appear to be any big vision, just different architects trying out radical ideas. The teenage city has yet to develop a soul, but it does ooze hope for the future. When I had time to reflect, there were several times that I had to question who was I to make these decisions and was the advice I was giving was appropriate. I actually feel confident that having worked with the teachers and managers I was able to guide their next steps towards a formative assessment culture. Also, my input is one small cog in a huge machine that is supporting the development of an education system. I certainly challenged ideas and thoughts of the people I met and had my own ideas challenged. This in itself was an important outcome. (1) Butler, R. (1987) Task-involving and ego-involving properties of evaluation: Effects of different feedback conditions on motivational perceptions, interest, and performance. The TES wrote a controversial article on educational reform in Kazakhstan, published while I was working in the country. Read the comments as well as the article. Christopher Robbins (2008) In Search of Kazakhstan: The Land that Disappeared. Profile Books. A trip to CERN - every science teacher should do it. Every science teacher should visit the greatest experiment on Earth. That is why every year I have made sure that my science teacher (pre) trainees have the opportunity to visit CERN. Taking the 6.45 flight from London Gatwick to Geneva we landed in the cool and overcast airport that is extremely close to the Swiss-French border. Twenty eight of us arrived to catch two buses to CERN near the quiet Swiss village of Meyrin. Approaching on the bus, a large rusty looking sphere grows on the horizon, signaling the entrance to CERN reception. This is known as Gate 33. The visitor centre itself is a smart building that is surrounded by portacabins. It is clear that the bulk of the money is spent on the super equipment hidden deep underground. Microscosm is the main static exhibit that explains what we know about the universe and sub atomic particles, how we got to know these things and how CERN is trying to bash particles apart to understand the fundamentals of the Universe. The rusty looking sphere is opposite Reception and is in fact an attractive wooden structure that contains an exhibition centre. Inside the large space inside there is an impressive exhibition ‘Universe of particles’. The space is darkened with white spheres hanging mysteriously around the space with a blue UV glow. Each sphere contains an exhibit or touch screen information about the universe or CERN. When you book as a group (you need to do this about six months in advance), CERN put on an excellent educational tour for you. We spent the morning at the exhibitions, then met our guides for a lecture, tour of ATLAS and an above ground visit to a warehouse that contains an exhibition of the amazing technology and science that goes into building the particle accelerators. Not only is the incredible cutting edge research and technology involved with CERN mind-blowing, but the huge numbers of countries and scientists that collaborate to design, build and analyse the experiments illustrate that it is not just the 27km long experimental laboratory that makes it the biggest experiment on Earth, but the number of people involved. It's the largest experiment ever to discover and understand the smallest particles of the Universe. You may think that sub atomic particles are beyond the secondary curriculum. However, CERN delivers their work in an accessible way. Just a focus on How Science Works would meet so many curriculum demands: things science can't yet answer, collaborative working, creative thinking, experimental design and analysis, asking scientific questions and using models to explain scientific concepts. Content wise, CERN technology uses charged particles, deflected by huge electromagnets, at extremely low temperatures (colder than space!) at speeds near the speed of light. These are all tangible things for a Key Stage 4 or 5 student and awe inspiring! The tour at CERN is free. If you want to visit or get a group of students to go, this is my check list for you. Get in touch with CERN with some dates you have available about 6 months ahead. Once a date has been confirmed, book flights (we go on a very cheap airline). If going for a day, get an early flight out (you need to arrive at CERN for 10am). Get the bus (pick up a free ticket from the airport) to CERN from the airport (Number 57 to Meyrin, then Number 58 or Y to CERN). Organise a coach via CERN or organise a private hire coach for the CERN tour. If you can afford it get a coach to collect you from the airport to go CERN, do the tour and back again. It is exhausting to do a round day trip. If you can do an overnight stay, it is well worth it. Geneva is a beautiful city. Every science teacher should go - see what is happening there - come back enthused and share CERN's wonders with their students. Just do it! A trip to the Natural History Museum with trainee teachers got me thinking about informal learning and inspired by Cocoon, part of the NHM's Darwin Centre. As part of the Graduate Training Programme (GTP), I like to take my science students on a trip. This year we visited the Natural History Museum in London. I had not been for a couple of years and was astonished by the relatively new addition, The Cocoon. The focus of the visit is firstly to improve subject knowledge (it's guaranteed every visit I make to the NHM) and secondly to consider how learning can take place outside the classroom. The latter to consider the practicalities of organising such a trip for students and consider how to facilitate learning while pupils are actually there. There are lots of definitions of informal learning. It is hard not to learn something from the NHM when you enter and see the huge dinosaur skeleton greeting you. My definition of informal learning is to go to the exhibition and learn informally from the experience. I encourage my trainees to observe the children's interaction with the museum. We saw a lot of pupils moving around with clipboards, mostly filling notes in on them, occasionally whacking each other with them. Others were using their camera phones to take pictures, a few were running around excitedly. We observed a small group of girls, under ten years old, who were looking at an exhibit in the dinosaur zone. One was whacking another with her clipbaord. However, the others were very interested. One says to the other, 'If I was a dinosaur, I'd be one like that one.' I'd like to have asked 'why', but it's frowned upon to talk to children that you are not responsible for! Moments like that are far more interesting than filling out worksheets. Maybe setting an open-ended task would help bring out these personal learning experiences. For example, ask the pupils to choose one part of an exhibition that makes them go 'wow', take some pictures and write a few notes. Then at school make a presentation, Blog, wiki or similar to share what they learnt. We then went to visit 'Cocoon' in the Darwin Centre. After being transported up in a lift, you enter the white Cocoon. The first area, looks fresh and futuristic with a central table with a cabinet full of plant and animal specimens. Around the surface are touchscreens with information about the exhibits. Now the magic bit is that you can collect a NaturePlus card (see below). When you look at the touchscreens, you can select any information that you would like to keep. Then scan your card on a nearby barcode reader and take it home with you. Then look up the NaturePlus website, type in the card number and look at your stored information. To be honest to took a few attempts and help from a guide to get it right, but once I understood, we could use the card easily throughout the whole exhibition. It fuses the science of nature with the nature of science. 1. A NHM staff member helping us to classify some beetles on their external characteristics. She was very enthusiastic and impressed by our determination to get it right! Our physicist did extremely well considering he was well out of his comfort zone. We got talking about ways of remembering the levels of classification: Kingdom, Phylum, Class, Order, Family, Genus, Species. Then tried applying it to a few exhibits. This was for me an example of informal learning, where one stimulus leads to another. 2. One of the key features of Cocoon is that it has a strong emphasis on How Science Works, particularly the people behind the science. Many of the scientists that work at the NHM are show cased in videos, posters and animations. These show what goes on 'behind the scenes.' These are real life scientists solving problems today - there was an exhibit on tackling malaria by finding ways to control malaria. Another one, that we started was packing a bag for an expedition to a rainforest and getting the relevant paperwork. This takes place on an interactive table following instructions and making decisions from information given by a NHM scientist on video. 3. Finally, I really enjoyed the section about historic figures that have contributed to the collections at the NHM. Particularly my favourite, the enigmatic Sir Joseph Banks. I scanned a lot of info onto my NaturePlus card on this exhibit. The point for me was that the interactive exhibits stimulated discussion and learning and these led to further conversations about pedagogy and how we would manage students on a visit. I can imagine pupils getting excited by the data collection. 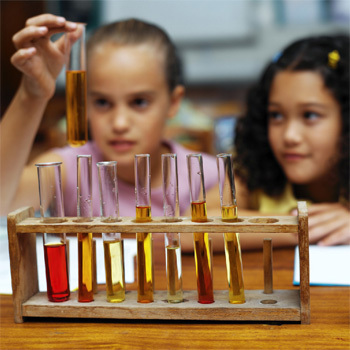 However, what do you do with the info when you get home/back to the school laboratory? When I got home, I registered on NaturePlus and typed in my card number and after a bit of searching, found my saved information. I think KS4 and 5 would be ok with this, it might be a bit much for KS3. I am still reading through it, though it is visually attractive with good quality pictures and graphics. I am at the stage where I am thinking 'what next' - how could this be made into a useful learning experience back at school? This is an excellent opportunity for developing ideas of HSW, particularly the work of scientists at the NHM. A final note, probably the highlight of our trip, was the Spirit Collection Tour. You have to book as there are only seven places per tour. Our guide takes us literally behind the scenes of the museum into the cool (in both senses of the word) storage vaults that contain millions of animals preserved in spirit. This is the research base of the NHM. The enthusiastic tour guide could relate it all to her own work, including a preserved heart of a killer whale that she had recently dissected. We then met up with a giant squid in a very long tank and came face to face with preserved specimens that were collected by Charles Darwin on the Beagle - his own handwriting is on the labels. Spine tingling stuff. Complete. Awe. and. Wonder. Close up squid suckers and 'teeth' - amazing! ﻿ I learnt that squids stomachs go through their tubular brain and so they have to really mush their prey to avoid brain damage! The NHM is an amazing place. You cannot help but learn, ask questions and bask in the wonders of the planet we share with so many other weired and wonderful organisms. Take your family, take your friends and above all if you are a teacher - take your pupils. Every child deserves to experience this place with or without a clipboard. I graduated on Friday at the University of Sussex's Winter graduation ceremony. After five years of work I received my Doctorate of Education. The occasion was perfect for bringing together family, friends and colleagues together to celebrate, for what is, quite an achievement. 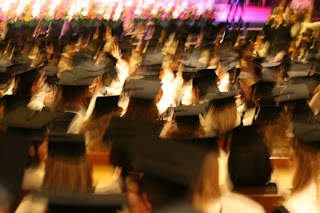 Here I share a few thoughts about the day and some tips for those doing a doctorate right now. Hindsight is a wonderful thing! I was apprehensive about going, but the the event was amazing and really worth every moment. 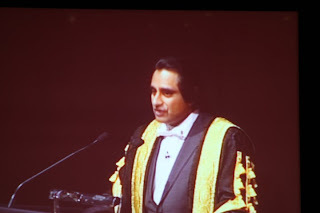 Sussex is very lucky to have an excellent Chancellor - Sanjeev Bhaskar (pictured below). He somehow gets the right balance between a serious ceremony and a fun celebration of the graduands achievements. He is entertaining, waves to the proud parents for photos, gives a good speech and is an ideal figure-head for the University of Sussex. To add to the excitement Stephen Fry received an honorary Doctorate for his charitable work for mental health awareness and HIV and AIDS. He was introduced by Simon Fanshaw (Photo below: from middle, second on right) and gave a splendid speech full of wisdom and the wit you would expect from Mr (Dr.) Fry (Photo below: from middle, third on right). The whole event takes place in the Brighton Dome and is incredibly grand. 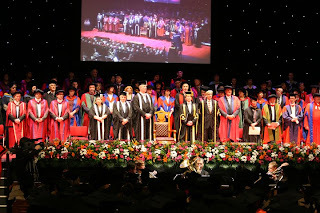 Many of my colleagues were sat on the stage, I had two other colleagues getting their doctorate and I had a number of successful PGCE trainees who I had taught in the rows behind me. So it meant that when it was my turn to collect my award, my jelly knees had to be tamed as my colleagues erupted with cheers and applause from the stage and my husband, parents and ex-PGCE students whooped from the stalls. My mother-in-law was watching on the live video link and was impressed by the spontaneous cheers. Although it was only a blur for me crossing that stage! I have to say I was somewhat shocked when I went to collect my gowns from the robing area. I did not know what they looked like. I thought the helper had handed me a super hero's costume! I thought - five years of hard work and they make you look like a prat! Seriously though once it was on, it did feel good and special and I strutted around the gardens of the Royal Pavilion having my photo taken. The doctorate graduands certainly stood out! This time is an opportunity for reflection. A doctorate is a huge undertaking. Personally mine caused me to question everything I thought I knew about teaching, learning and education. It is not just an intellectual journey, it is an emotional journey. You lose confidence in what you know and have to readdress it, re-evaluate and refocus. During my doctorate, amongst other things, I had a civil partnership, became an uncle four times, changed career, wrote several books and almost lost my mother to a kidney infection. Life can get in the way of a doctorate. 1. 'Don't get it right, get it written': This is a mantra that I was taught by a colleague (who was told it at a writing workshop). When you sit in front of a blank computer screen, sometimes it is hard to know what to write or you stress over getting it right. Instead just start typing, not worrying about it: write about what you hope to write, a list of bullet points, things you need to find out before you can write. Then it just seems to flow. It doesn't matter if is good or bad. It can be edited later. 2. Like-minded support: I was fortunate enough to make a friends with a group of my colleagues who were doing the doctorate at the same time. Although we lived quite far apart, we used Facebook as way of communicating. We met up for dinners when we could and discussed our progress, crises and explored methodologies, epistemology and ontology. These people are the only people I can discuss these things with freely, learn from them and make mistakes. 3. Plan thinking time: A big part of a doctorate is making sense of complicated theories, conflicting ideas, difficult concepts. Allowing myself to think, giving myself space (gardening and drawing were my favourites) to allow my mind to ponder, synthesise and consolidate my thoughts was very important in coming to write up my doctorate. There are plenty of other pearls of wisdom I could offer others who are doing a doctorate, but I will leave it to another post. I was a science teacher for a decade and have since continued a keen interest in science education through teacher training and educational research. Michael Gove our new(ish) Minster for Education has today clarified that he wants school subjects to have key facts and knowledge that every school leaver should know. He wants teachers to advise on what this key knowledge is. I do not want to make judgements on this policy, but it has made me think what I would do if given the chance to devise the National Curriculum for Science in England. In that flight of fantasy I might do a term at least on photosynthesis and plants, a term on the solar system and astronomy and a term doing field work or maybe a year on each, examined by small assessment tasks and a big note book of their learning journey and own scientific discoveries. Loads of practicals: microscopes; telescopes; quadrats; pond-dipping, web searches: Hooke; the Herschels; Fossey; electron microscope images; using large telescope time to view an image; blogging, on going experiments: growing plants in different conditions; mapping sunspots; pupil's own enquiries, it would be amazing. That is amazing for me, but maybe not for pupils needing a rounded science education. OK, so the NC stays, so what form should it take? Would I want to go back to the original separate subjects of Biology, Chemistry and Physics throughout Key Stage 3 and 4? The argument for are that science teachers have to teach all three, of which they are only really expert in one when they start training to become a teacher. The argument against this is that at secondary school level, science should be considered interdisciplinary because pupils are too young to choose and that all subjects are required to be a scientific literate citizen. There are probably others. The list of facts for Science scares me. Teachers would just end up teaching facts, through rote learning, without any need for conceptual understanding. We won't need science teachers, just computer programmes that pupils follow until they get 100% (then maybe they get a prize of doing a practical!). What is wrong with what we have now? The QCA curriculum is probably over prescribed, but there is some good stuff there. I like the structure, that it accounts for progression of key ideas if taught in a sensible order based progression. I am a big fan of the four (yes, four - interdependence is a political anomaly IMO): Energy, Forces, Particles, Cells (I prefer Life & Survival). "aim of identifying the key ideas that students should encounter in their science education to enable them to understand, enjoy and marvel at the natural world"
"what we teach owes more to history than to new thinking." This is very true, but I would also argue that history can tell us a lot about conceptual progression of scientific ideas and the key concepts. However, I agree that the science curriculum is very much focused on the past rather than the present and the future. This international panel decided upon 10 principles of science education and 14 big ideas of science (10 ideas of science and 4 ideas about science). Is science just a pure discipline where we learn it for the love of learning? Or should it be a requirement that all children leave school scientifically literate whether they go onto studying further science or are a citizen that needs a basic understanding of science. The 10 principles of science education cover the goals of science education along with the need for formative assessment, evidence based progression of ideas (with benchmarks) as well as crucially the training and development of the teacher including work with practicing scientists. The training and development of teachers is for me crucial. There are teachers of my generation who I feel have fallen into an existence of lack of professional pride. The government demands of results have turned them into factory farms of exam grades, with just inputs and outputs. Tell me what to teach, I'll teach that and I will ensure that my pupils can get their target grade. They seem to me to have their professional judgement sapped from them, abstaining from responsibility of curriculum design, thinking about what pupils will have been taught previously and even about what they will do in the future. The outcome is all what counts not the process of getting there. When I was teaching in schools and whenever I deliver INSET there are teachers who claim they do not have time to do 'formative assessment', or no time to allow pupils to learn in groups or carry out extended projects because they 'have to get through the curriculum'. This is not everyone, but a lot of teachers are in this frame of mind. It is time to give their professionality back and make them active in the curriculum, rather than passive processors. Back to the curriculum, Harlen's team come up with perhaps predictability: particles, gravity, forces, energy, earth science & climate, Solar System and universe, cells, energy in food chains, genetics, diversity and evolution. I would argue that any science teacher who did not come up with these would raise serious questions to me! However, it is important to establish the key concepts. Then the 'Ideas about Science' rightly (in my view) take four points about the processes of science. In recent times, there has been a push to teach through enquiry. In principle I think it is essential that pupils experience practical enquiry, but I do not believe that it should be instead of learning and exploring concepts. I think the learning about key concepts is essential in school science, without a conceptual basis it is impossible to design or carry out meaningful investigations. I really believe that scientific concepts can be developed through guided enquiry, which then allow pupils to carry out their own enquiries to apply the scientific concepts they have learnt. However, in practice, it seems that teachers do teach too much content as facts rather than concepts. It is important to read to the end of Harlen's report which synthesises the principles and the big ideas into a working curriculum. It is a model I feel is very workable. So, if you have got this far through my stream of consciousness, you will see that I have realised that I have some key beliefs about what a NC should be and that there should be a NC. Perhaps the NC for science should be a set of guiding principles, but certainly not a list of facts. It is so much easier knowing what it should not be than exactly what it should be! Though the Harlen model seems to me an excellent starting point - it just would have to be seen how teachers use it in practice. This week the curriculum review panel has been announced. I hope that they use Harlen's report as a basis for science education. What does concern me is that although there will be a NC, free schools and academies will not have to use the NC! So will that mean that every science teacher can teach whatever they like? Will it be back to the times where there is no NC? It is very interesting times. The annual conference of the Association for Science Education is always one of my highlights of the year. Unlike last year's where snow hampered my stay, Reading this year had a bit of on and off drizzle, but nothing to panic about. 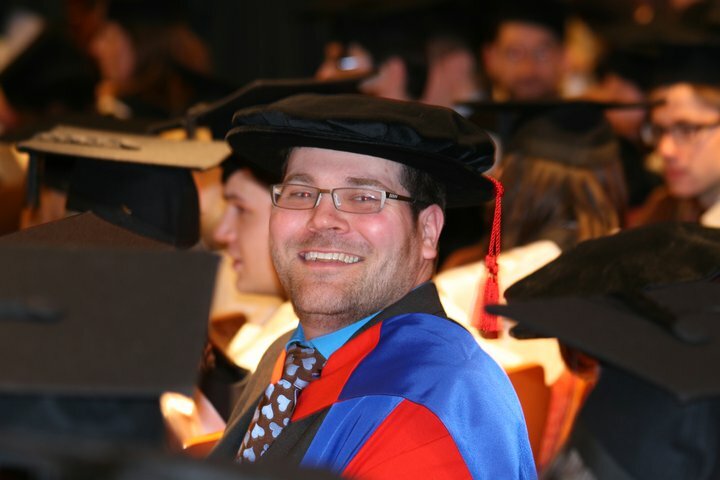 I was very kindly sponsored by the Institute of Physics in their final year of funding for the highly successful Subject Knowledge Enhancement for Physics, which I run at the University of Sussex. It meant that I got to see some of my past trainees who are all fully fledged teachers now. Anyway, the programme of course, workshops and lectures is always colossal and it is often hard to know what to see. In addition the huge marquee of exhibitors is can also be daunting to navigate. So I decided to let Twitter be my guide. The #ASE2011 tag helped me find a variety of stands and those that I went to were delighted that it was as a result of their tweets! @theASE it was good this year to have a Twitter presence, I actually put out a tweet for 'hot tips' for Friday afternoon and they replied with some suggestions and a weblink- much appreciated! @classroommedics http://www.classroommedics.co.uk/science.html had a great interactive stand, with nice lads n lasses in medic gear with their 'patient' on whom you could find pulses. A disembodied arm from which you could draw blood, which was really cool! I can imagine this being amazing for kids of all ages in schools and will really get them thinking about a career in medicine. @SocGenMicro http://www.microbiologyonline.org.uk/teachers I spoke to Laura who was very excited about the fact that I had found their stall by Twitter. Their factpacks on Swine Flu were flying off their stand, but she also showed me their website. They hope to have some videos of microbiological laboratory techniques very soon, which I think will be very useful in the classroom. I even got a Tweet reply after visiting the stand! I tweeted in response to visiting the Royal Institution's stall @rigb_science as they were giving away lots of goodies including lipbalm(!). A friend and colleague @doc_gnome was unable to attend the conference asked me to check out some exam board stands, which I did. And tweeted an answer back! There are a few other people who tweeted useful ideas, either shameless self-promotion (good on you) or selfless tweets to raise interest or share experiences (including best give aways!). The @TheASE were very good at retweeting these! @ZoeAndrewsAST @WowScienceSue @LightEmitting @DeclanFleming @scarycurlgirl to mention but a few. My highlight session was the Bad Science for Schools: Good News is Bad News, led by Ed Walsh & Jo Foster. Excellent resources based on Ben Goldacre's book 'Bad Science'. These have huge potential in adressing scientific literacy and address some of the How Science Works aspects of the curriculum. There was a Twitter flurry at the time between @bengoldacre and others who had attended the course. Ed and Jo have a Twitter presence @cornwallscied but guys, I think you under Tweeted (although you were very busy presenting!). So what have I learnt from all this? Is Twitter just a little gimmick that can be used at conference for smartphone geeks or is there something more to it? I suspect that there are a huge number of smartphone users and Twitter uses at the ASE Conference. I think this year did raise the profile of a number of stalls and sessions, particularly for me. I wonder though if everyone there Tweeted, we would be overloaded with information! However, it is a live timeline, where you can see what's hot and what's not. I enjoyed a fresh approach to tackling the ASE Conference. I think Twitter has huge opportunity for advertising products, advertising sessions, advertising stalls, professional networking, keeping in touch with people and companies of interest after the event (there are still a few #ASE2011 tweets coming up today, the weekend after). My number of followers increased significantly over the weekend. This year was good, but I think a lot of people are missing a trick. I am looking forward to next year to see if Twitter has an even greater Tweet presence. 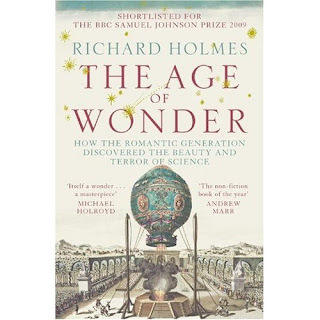 Richard Holmes (2009) The Age of Wonder: How the Romantic Generation Discovered the Beauty and Terror of Science. I have only recently finished this book but it has trumped every other book that I have read this year. It touches on some of things I find fascinating about science, but also goes in depth into some of the areas of science that I love. It covers a very exciting part of scientific history. The 18th Century. Think long dangerous voyages to new lands - finding new cultures - losing dear friends to disease at sea - Captain Cook being eaten by cannibals - the first hot air balloons - the discovery of new and elusive elements - the painstaking study of the skies - the discovery of a new planet - the early days of the Royal Institution - Humphrey Davy - dangerous laboratory experiments - science discoveries saving lives - scientific rivalry - eccentric men and women - love affairs - injury - illness - death. The world and the universe becoming bigger than we ever imagined. It opens with the expedition of Joseph Banks, a prominent character throughout the book. For some reason I have always had a soft spot for Sir Banks. I often find men who have an enthusiasm for the natural world attractive. Joe seems to have a mysterious air about his love life, got up to all sorts of naughties on his travels, but remained intelligent and passionate about all aspects of natural philosophy. Incidentally a fictional book that I read in Madeira a few years ago, plots out a missing part of his love life (Martin Davies's (2006) The Conjurer's Bird, Hodder Paperbacks). Part of the book is set in Madeira and the description of Banks as a character are really fascinating. In terms of teaching science this is a beautiful book, really focussed on a very important and exciting part of scientific history. Fits in well with How Science Works. Particulaly APP AF2 with new technologies (Davy's Lamp), solving scientific problems. Historical contexts, especially the role of women in science and the contribution of Caroline Herschel to the discovery of comets. Also how Science Doesn't Work - Hershel particularly tells a very different story to his discovery of Uranus compared with his original notebooks. The human nature to exaggerate or embellish actual events is common, but not often recorded as starkly. I'm not one for New Year's Resolutions, but I am one for setting myself goals. At least then I have something to aim for, even if I don't make them. This coming year has a lot of challenges and hopefully opportunities. In the political world, education is going to have some serious changes occuring. I am somewhat skeptical of Mr. Gove's vision of education, though I am also looking forward to taking my part in meeting the challenges of change over the next twelve months. Having had the opportunity to step back from education in schools, I do see political change as just one social experiment after another. From a distance, it's interesting to see the effects, but when you're caught up in it, it can be more frustrating. I think the best thing that teachers could do with is no interferance for the next five years - just let them teach and encourage the sharing and evaluation of good practice. No politician will let that happen though. In my professional world I can see this year is going to transitional. I am hopefully going to be a fully fledged educational researcher by name by the end of the year. Having successfully completed my doctorate, I aim to get one or two papers published from it. I also have just got a small research role evaluating Transition between KS2 and KS3 science and I am also exploring other opportunities for research. I might even go full-time if the right post comes up. I will continue to write for Badger Publishing. I have six titles to co-write for GCSE 2011. I'm already well into these and enjoying being creative with the new tasks. Also writing with a new-found co-author, Dr. Mark Evans, an Science AST - makes life so much easier and challenging (in a good way). I am a biologist, science teacher with a recent doctorate in assessment in science education. I was an Advanced Skills Teacher in secondary schools, now I write formative assessment tasks for science, teach trainee teachers and work as an independent education consultant. This space is for me to unpick some knots of the world of education and share my ideas with other like minded people.